Newsflash: Sew Mama Sew is hosting another Giveaway Day for bloggers on Monday May 17th. Check that day for a loooong list of blogs that are hosting giveaways, then be prepared to spend a couple of addictive hours entering to win. Anyone can sign up here to host a giveaway on their blog that day. You can giveaway a handmade item, supplies, patterns, etc. I did one of these with Sew Mama Sew back in December, and over 400 of you entered. It's a great way to increase traffic to your blog, and a great way to win some stuff. I love stuff! I'm creating something *spectacular* so be sure to come visit me Monday May 17th. Until then, let's start the giveaway fun with something for the ladies. 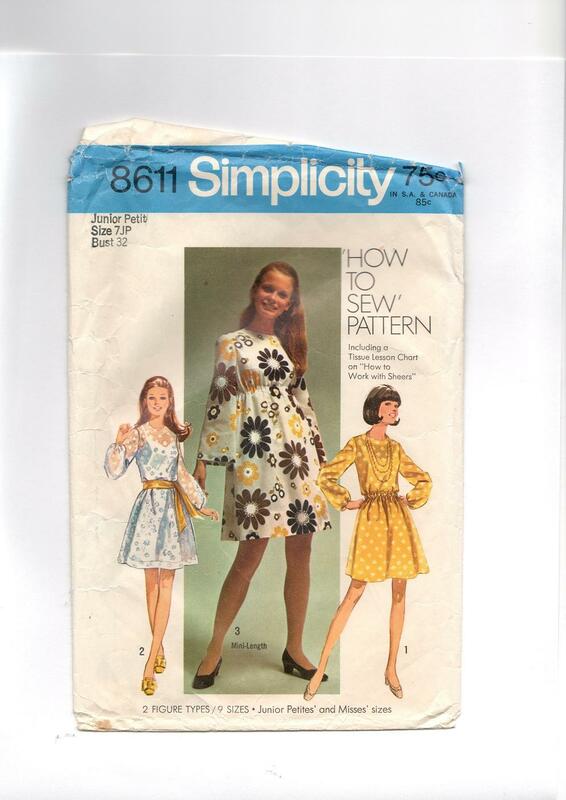 I've been collecting vintage patterns for a while, but heck, I'll never use them all. These two are from 1968 and 1969 - funny how everything comes back in style again. One winner will receive both patterns, size 32" bust. TO ENTER: Giveaway open to anyone, anywhere. Just leave a comment below. I will choose a winner late in the day on Monday May 10, 2010. Oh, oh me me! I love vintage and that's my size too! I've been looking for vintage clothing patterns and wanting to start sewing clothes, would love to win these! Thanks! oh gosh...IF i do win this, i'm going to find a way to make them patterns larger!!!hahaha. btw i so love your V ingalls!!! i have just switched over winter to summer clothes and realised i need to sew sew sew quite a few dresses/tops for my little one, she barely has anything to wear for the heat. Pick me pick me! I love vintage patterns. Thank you for the early giveaway!! So nice. I just recently discovered your blog and I'm loving it! Thanks for all the inspiration. we frequent your blog, you should check out ours if you ever have time~yay canadian bloggers!! So cute! 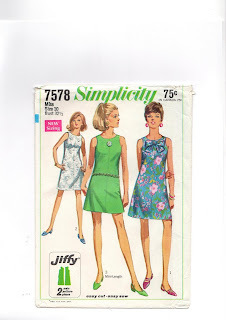 I love sewing with vintage patterns! *crossing my fingers* Good luck everyone! i really want those!! i love both of those dresses. I love to sew but have only used a patteren once...it would be great to get better at it. And what better way to learn than with these sweet 60's styles! Those are awesome!! Great giveaway! I'm a stay-at-home adoptive-mom-in-waiting and have been sewing for everyone else's babies and a little bit for my future baby. I've enjoyed getting to know your blog and would love to finally sew myself a dress, for the first time in my life! These inspire for sure! Thanks! Those are cute. I love vintage patterns. How fun are you? I've been trying to teach myself how to sew using great-grandma's Singer (too poor to buy a new machine for myself!). So I made your children's peasant blouse for my baby girl (first project since 7th grade home-ec)! I totally messed up the sleeves, but she looks like an angel. I want to try more! oh so fun! I am in love with vintage! I would love to win, yet even if I don't I really appreciate your willingness to share your fun stuff! Thanks so much! These are lovely, please count me in. Thanks for the giveaway! These patterns are pure heaven. I would love to have them. These are fantastic. Great Giveaway! 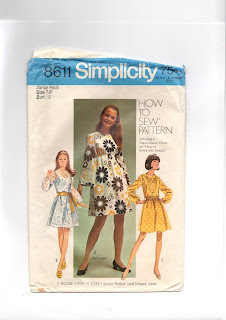 I love vintage patterns..awesome giveaway! I love old patterns. I wish I could look as sophisticated as those models look. pick me pick me. I have been making way too much for my daughter! Hello-Love those and can't believe they are my size! I love your blog and all the things you make are soooo cuuuttte!! Yay for giveaways!!! Can't wait to see who wins! LOVE,LOVE,LOVE, the patterns! Unfortunatley I haven't had a 32 inch bust since my training bra :) So sorry Little V, has mastered the scaling of the baby gate. I know my days are numbered with my 20 month old! Oh I hope Im not too late, perfect sizing for me. vintage patterns are the best. woops sorry, just realised it was closed.